The word story is a key word to understanding the post modernist generation. Earlier generations had other words. I think the word for my generation was journey; everybody was on a journey and everything was a journey. But journeys have given way to stories now. Now everyone has their own story and life is a narrative. Your witness is your story; your upbringing is your story; your history is your story. Preaching has moved from exegesis or exhortation to story telling. The King James Bible (1611) uses the word story only in two obscure passages in 2 Chronicles. The American Standard Version (1901) never uses the word story in this way, but The Message ( 2002) uses the word story 161 times! Tell Me the Old, Old Story (1866) with lyrics by Katherine Hankey. Interestingly enough, she also wrote the words to I Love To Tell the Story. “I love to tell the story of unseen things above . . . .pretty post modern—except for the word above! But one of my favorite hymns from my childhood which still occasionally surfaces is the rousing, almost dramatic O Listen To Our Wondrous Story, sometimes titled What Did He Do?. 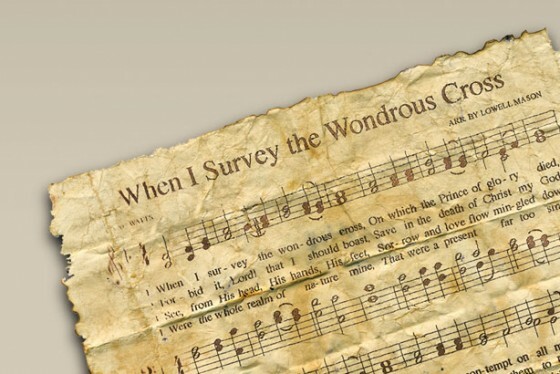 The words were written by James Gray around 1903, but, in this instance, the marriage of the words with the music by William Owen, a worker in the slate quarries of Wales in the mid-1800s, was what really made the hymn work. I especially loved the antiphonal chorus, where the women sing, “Who saved us from eternal loss?” and before they even finish the question, the men are responding with the certain answer, “Who but the Son upon the Cross!” As we most often sang it, the first questions were sung softly, with each succeeding question and answer a little louder, until the final triumphant response was full volume. The final verse makes the question of story very personal: Will you surrender to the Savior, to his scepter humbly bow? So journey and story meet in the certainty of Jesus and His Cross and the necessary response that it requires from me! Stirring heart and tongue aflame! And Christ Jesus is His Name! Of the many things that missionaries give up, praising God regularly in worship with other believers in their native (heart) language is probably something most people never thought of. Oh, how I miss singing these songs. I can hardly sit through a service in English without weeping at the wonderful lyrics of these hymns. That is my favorite old hymn.